Welcome to Dang Brother Pizza! 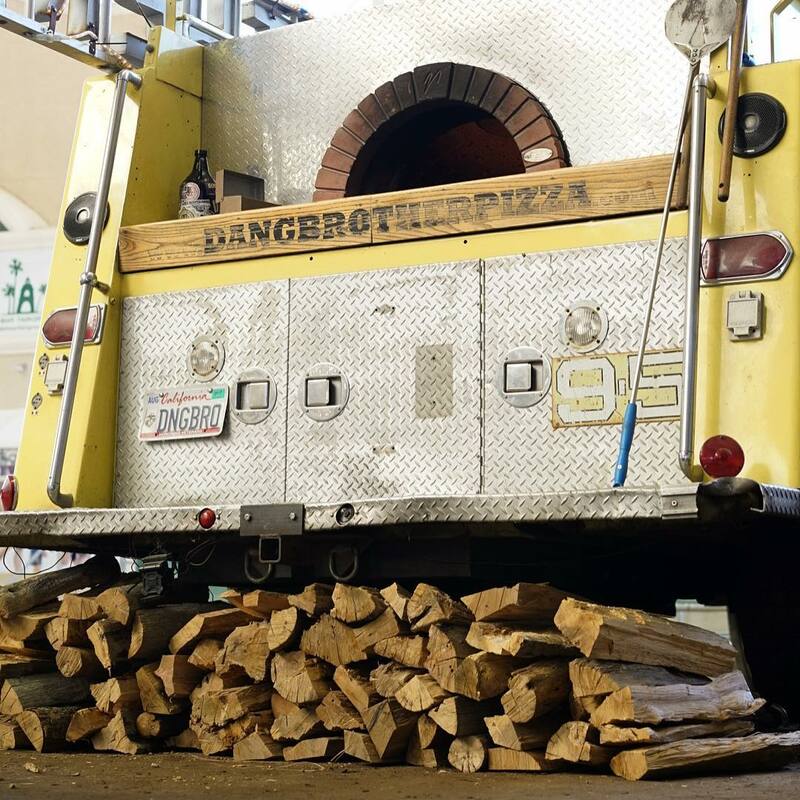 This unique truck and wood-buring oven combine into the ultimate catering and pizza machine! The oven is imported from Italy, and built right into the back of our firetruck. We offer a tasty Neapolitan style thin crust pizza that cooks in less than 2 minutes at 800+ degrees. The result is a thin bubbly crust that is slightly charred on the outside yet chewy on the inside. Our dough is made from scratch daily and allowed to proof for 1-2 days before it ends up in our ovens. Our pizzas are topped with fresh and organic produce from local farms when possible to create a made-to-order pie that is absolutely melt-in-your-mouth delicious! 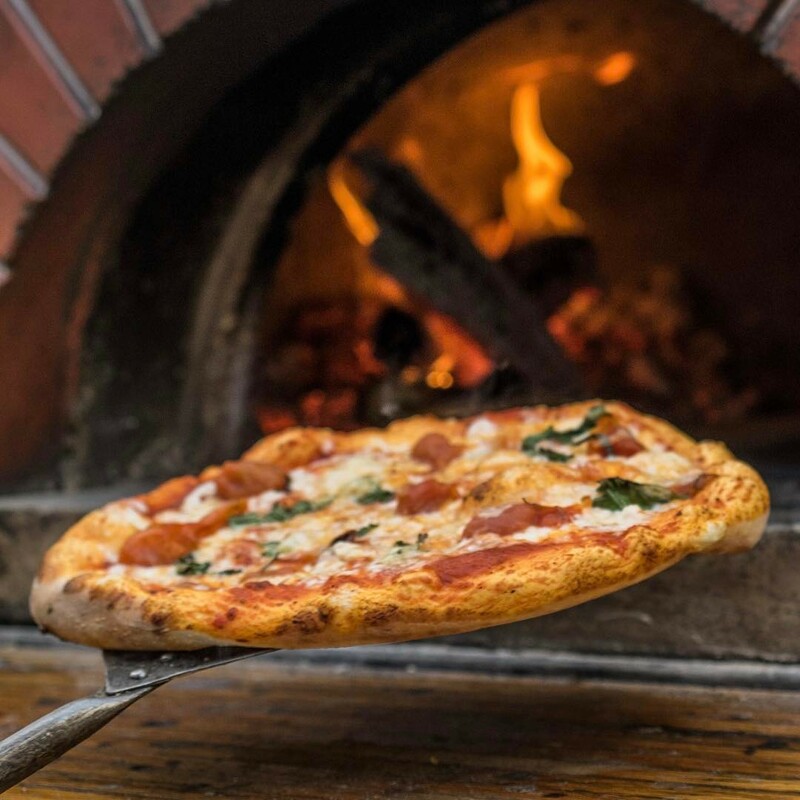 Our truck specializes in wood fired pizzas but offers full service catering options that include appetizers, salads, desserts, and hand crafted beverages poured right off of the custom tap on the pump panel of the truck. 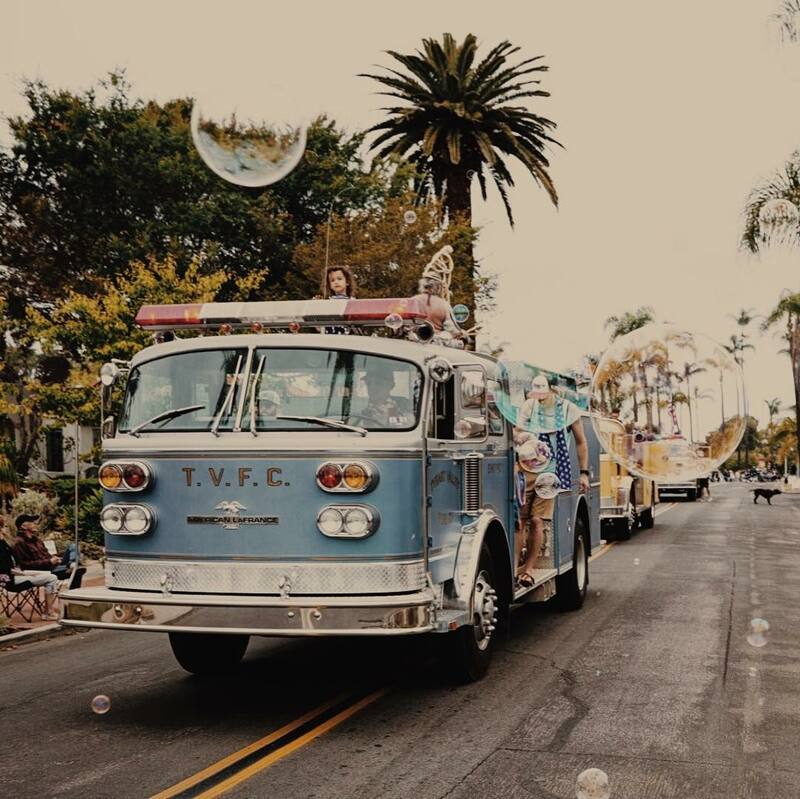 Our truck and crew will create an event that guests will not forget whether it is a corporate catering function, food truck gathering, festival, private party, charity fundraiser, birthday party, block party, late night wedding truck… you name it- we’ll be there. 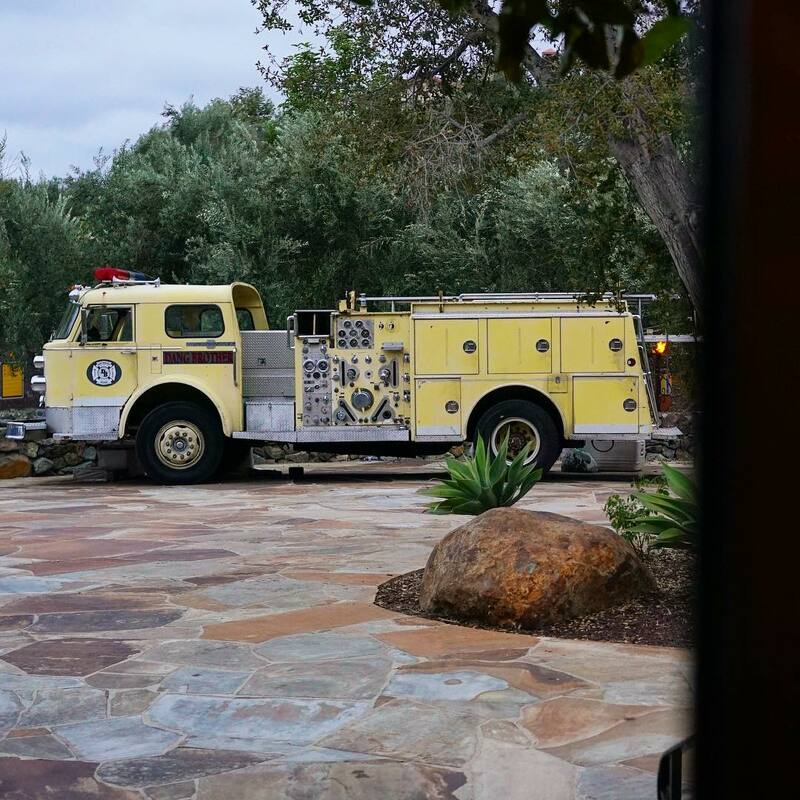 Look for our yellow, blue, or red fire trucks around southern California and now Phoenix,AZ. Check out our Instagram and Facebook to stay in the loop, share feedback or find us at our next event. “A lifetime is full of important days – milestones and achievements that are celebrated and commemorated for decades to come, days such as the birth of your first child; the original acquisition of an income that grants the choice to forgo ramen forever; or a lifetime lockdown certificate with that special someone. One’s life is full of these special moments, but it is taken for granted that we will be able to hold onto all of them forever. If I were told that I would be involved in a terrible incident involving attacking feral kittens that would render me brain damaged, and I would forget every important moment that I had so far encountered in life save for one, I would reserve the memory of my first time at Dang Brother Pizza. 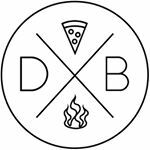 To call themselves a pizza business is a reflection of their humbleness, for the only way to describe Dang Brother is as an experience – one of the miraculous sorts that our ancestors would have built churches for and effigies of and worshipped as the new dang religion. Each masterpiezza is carefully handcrafted and customized to your every desire by the talented Vincent van Doughs and Pablo Pizzacassos who work there. 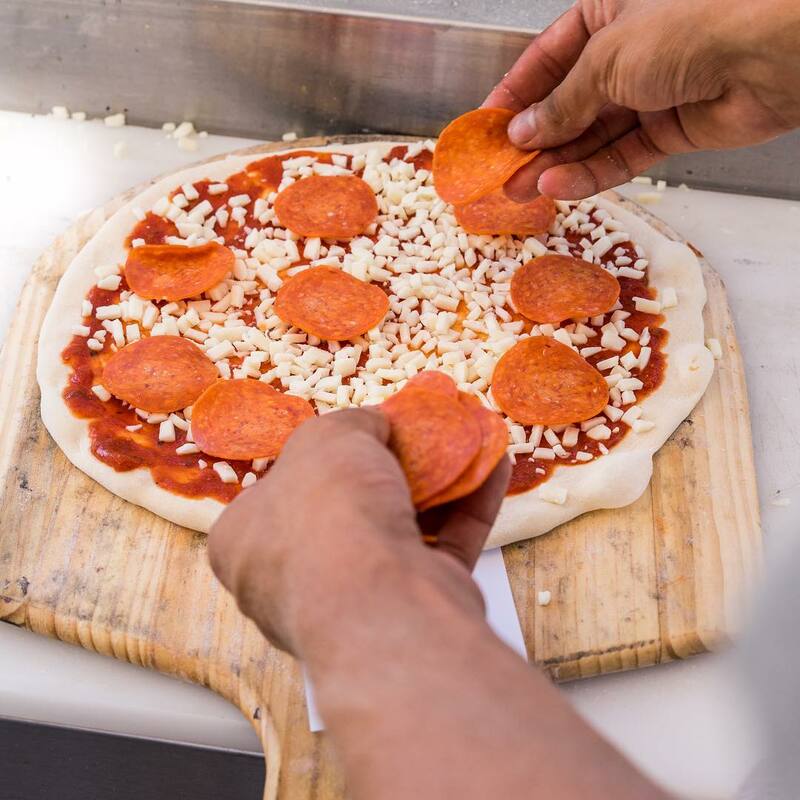 Through an artful process of skillful spinning tosses and magic, the pizzas are created directly in front of you. Like a proud parent, you are able to witness the dough ball take shape, develop it’s individuality through topping choices and, finally, be tossed into the allegorical flames of life only to emerge as a matured and improved version of its prior self. The entire phenomenon is so immense and life changing that it is advised that those who are pregnant or have a heart condition look away. Ready to book us for an event? Contact us with the details for the event and we’ll get back to you with a custom quote. © 2017 Dang Brother Pizza. All Rights Reserved.